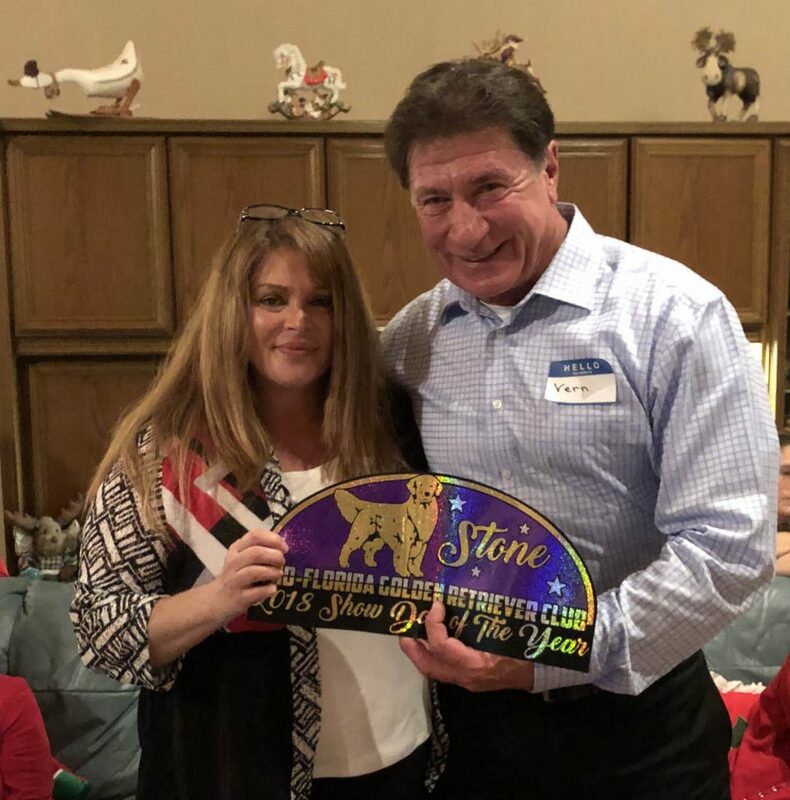 The Mid-Florida Golden Retriever Club announced its 2017 year-end awards recipients and winners at the club’s annual Christmas party on Dec. 16 at the home of Ann Rowe in Sorrento, Florida. Again we are emailing the application for the Dog of the Year awards which are due November 30th. To clarify, there are a number of awards available and we encourage all members who meet the meeting/volunteer requirements and who have competed with their dog this year to apply! Time to start thinking about applying for year end awards. 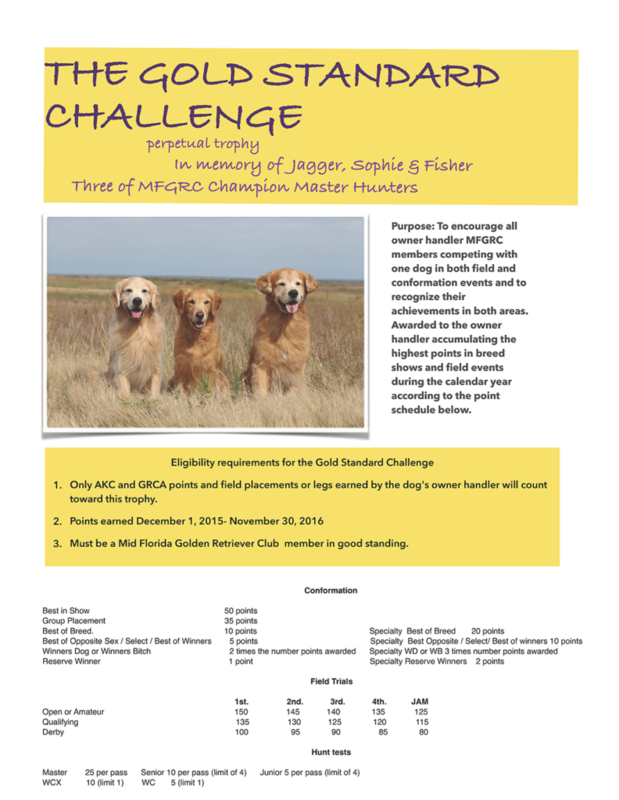 If you and your dog have competed in both conformation and field you are eligible to apply for the gold standard challenge. See point schedule in attachment. I’m very excited for everyone to see the beautiful custom made trophy, it will be presented at the annual Christmas party in December. Please have you points earned in by December 2, 2016 dogs can be handled by multiple owners in different venue.